When you think of caring for your home, the last thing that may come to mind is your gutter. Your gutters play a significant purpose in your home, especially in Naperville. The purpose of your gutters is to direct the flow of rainwater, but most homeowners neglect the, for so long that they are wreaking havoc on your home. 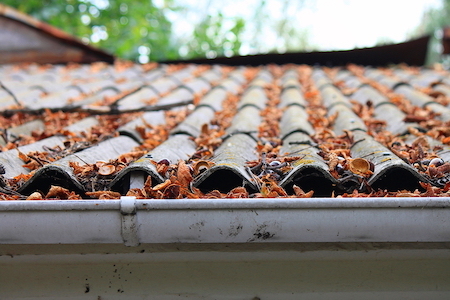 Here are 5 of the most important reasons why you need to regularly clean your gutters. Gutters are easily clogged with leaves, dirt, and other elements that take away the ability for your gutters to properly drain. This means that, when it rains, the water has nowhere to go. It sits in your gutter and eventually leaks over the edge, causing water damage to your home. Water damage not only can ruin the integrity of your home, but it is also very costly to repair. By simply cleaning out your gutters, you won’t have to worry over the possibility of water damage or big repairs. As we have previously discussed, it is easy to clean your gutters on your own. This simple action will help you save time, money, and stress from the harms of water damage. Going off of our first point, if your gutters are clogged with debris and water, it makes them very heavy. When the water freezes in the winter, it makes gutters even heavier. The combination of rotting wood from water damage leads to sagging gutters. If your gutters are in this condition for too long, they could eventually collapse and cause even more damage to your home. If your gutters are in the condition currently, it may be beneficial to contact a local professional. They will have the right tools and supplies to safely remove and replace old, rotting gutters without any damage to your home. These pesky bugs will make your clogged gutters their home very fast. If your gutters are sagging or clogged, birds can also start to create nests, that will not only be a bother to your home, but will also add weight to your gutters. If mold is untreated or neglected, it can rapidly spread throughout your entire home. This will wreak havoc on your health and on the integrity of your home. We hope that this has opened your eyes to how beneficial it is to regularly clean your gutters. By simply tending to them once every few months, you can avoid headaches and thousands of dollars in home repairs.